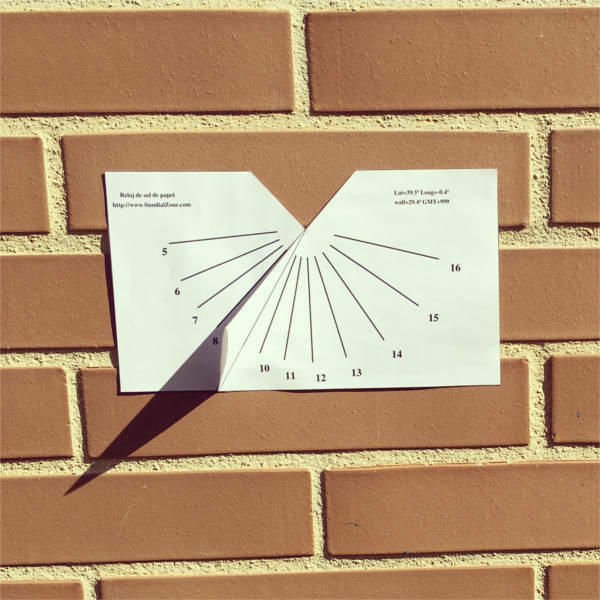 Sundials are instruments that tell you the time with the shadow of the sun. 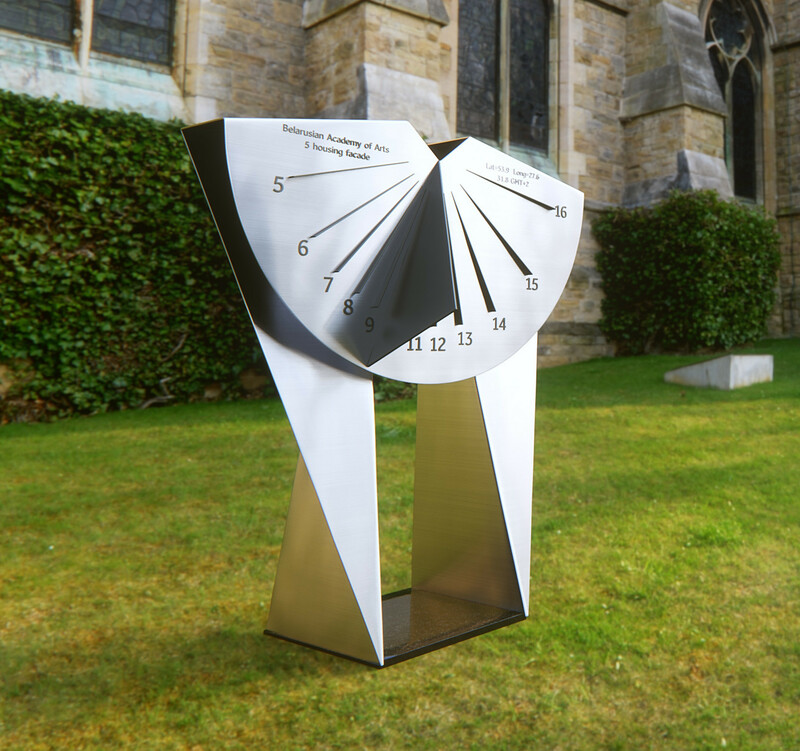 To design a sundial you need to know exactly where you are going to put it. 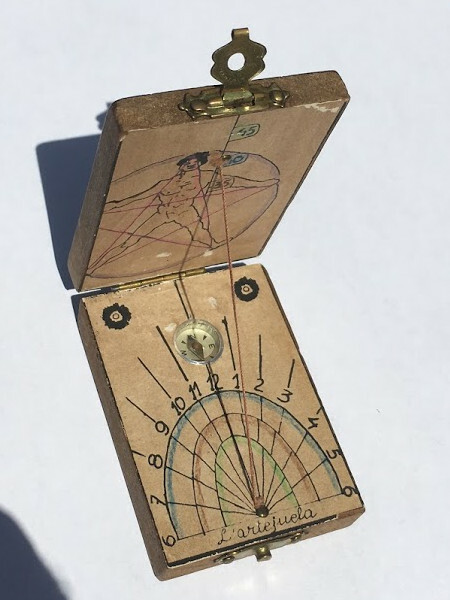 A classic portable diptych sundial made with wood, with an included compass. 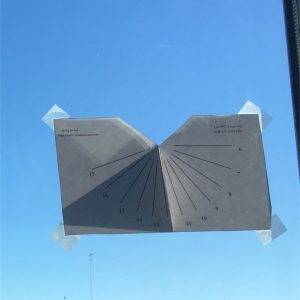 This model is customized for 40º latitude, but It also include the marks for 35º and 45º latitude. 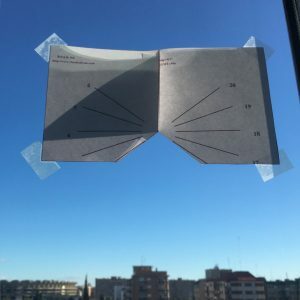 The small compass allows you to align with the proper north orientation. 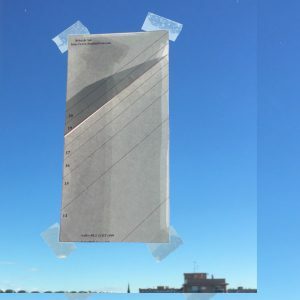 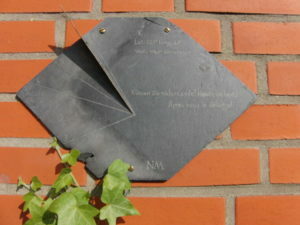 A funny timelapse of an an analemmatic sundial made by the Astronomy Society of the Progymnasium Rosenfeld. 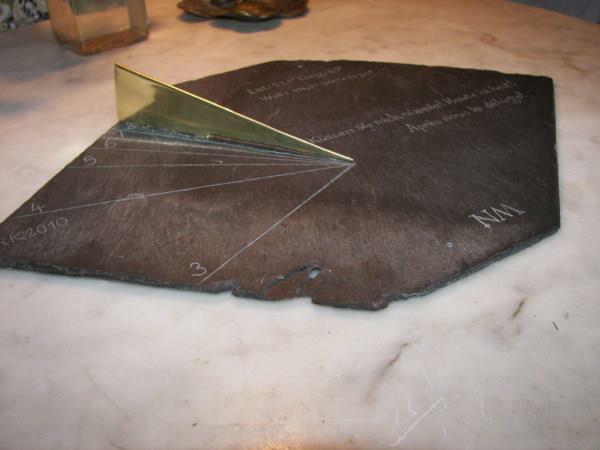 An impressive sundial made by Belarusian Academy of Arts made using our page for the sundial calculations. 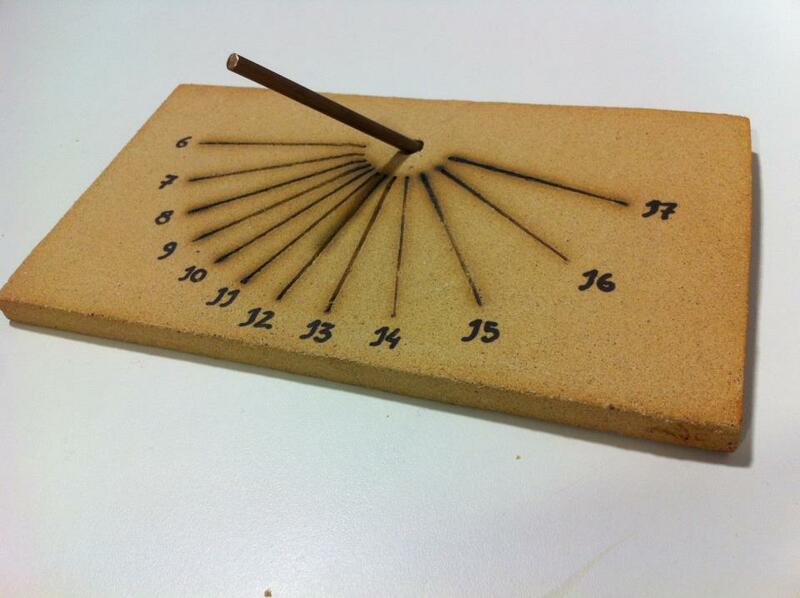 Another proof of concept with a Baked clay sundial. 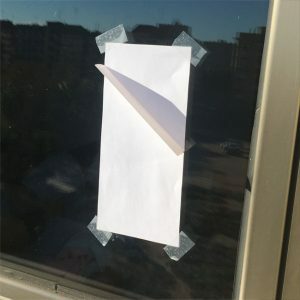 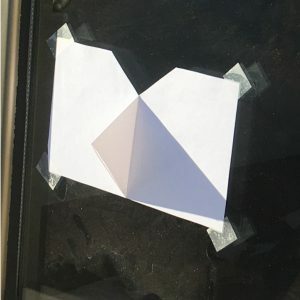 This crowfunding project reflects the light of the sun inside you home, it rotate and tilt getting the light inside your home. 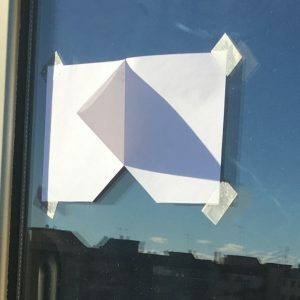 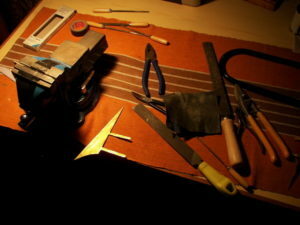 You can check the indie gogo project page. 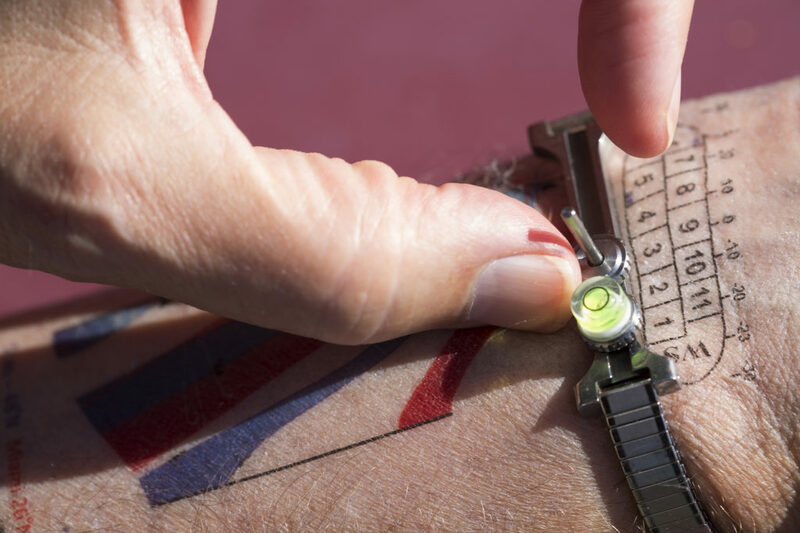 The astronomer Woody Sullivan has designed a tattoo sundial, he has not permanently inked it on his skin (yet), but the proof of concept seems to work, it needs a bracelet wit a level and the gnonom. 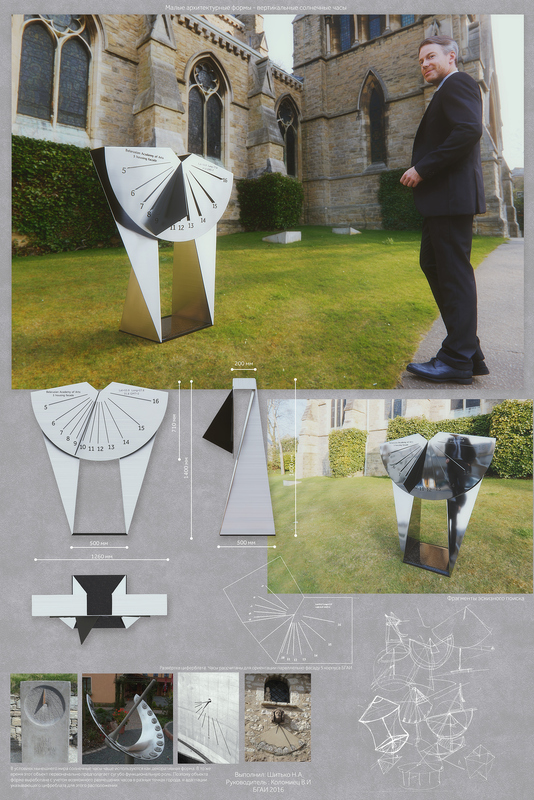 You can see more details and an interview clicking on the image. 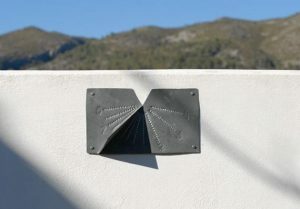 A zinc sundial made with sundialzone.com page.